Never Miss a Powder Dump! If youd like to teach abroad, enjoy skiing or snowboarding and are looking for something to do over the winter period, working in a ski resort and becoming a qualified ski or snowboard instructor could be a dream come true. Not only will you pick up some new skills and no doubt improve your technique, youll make money at the end of it too. There are a number of companies that offer ski or snowboarding instructor courses, right from beginners up to expert level. We've researched it for you to help you work out what you're options are, what qualifications you'll need and what it all entails. 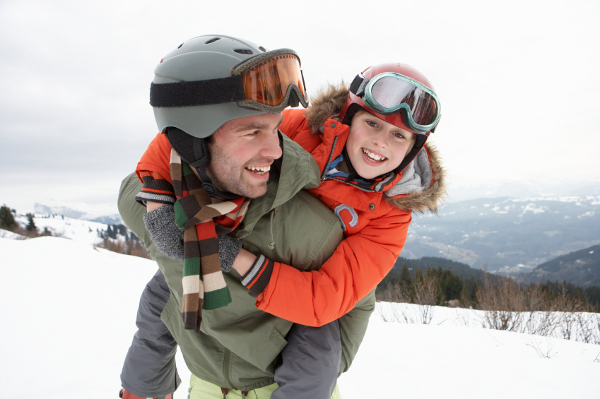 What does becoming a ski / snowboard instructor entail? "You will need basic knowledge on how to ski or snowboard before taking an instructor course." When applying for an instructor qualification you will need basic knowledge on how to ski or snowboard. If a novice, perhaps a going on a winter sports holiday to get a taste for it and to get the basic skills before you apply for the course will be beneficial. Depending on which qualifying board you go through, the requirements and amount of levels will differ. What are the benefits of getting a qualification? Not only will you improve your own ski or snowboarding skills, but by completing the qualification you will learn how to teach others to ski or snowboard, which undoubtedly will allow you to better your own ability. If you are serious about teaching others or if youd like to complete a handful of seasons then the more you improve and the higher the levels you complete the more money you will make as an instructor. Whats the difference between all the different qualifying courses? Courses are set out and governed by different qualifying bodies, three of the most well known include BASI (The British Association of Snowsport Instructors), CSIA and CASI (Canadian Ski Instructors Alliance and Canadian Alliance of Snowboarders) and all are members of the ISIA (International Ski Instructors Association). Each are well recognised, however in order to know where your course can be taken and where once qualified you will be able to teach, there are a couple things you should take into consideration to decide which course it best for you. Which is the right qualification for me? CSIA and CASI is a more favourable qualification as level 1 allows you to teach in resorts compared to BASI where you are only able to teach on dry slopes and indoor snow domes. However if you are interested in teaching in Italy and France you will need a BASI level 2. There are a number of different companies you can go through to get your ski / snowboard instructors qualification, namely Altitude Futures (www.altitude-futures.com), Alltracks Academy (www.alltracksacademy.com) and Non Stop Snow (www.nonstopsnow.com).